For about four weeks in a row, I got persimmons in my Abundant Harvest box. I also got a little information, too. There are two types of persimmons, fuyu and hachiya. The hachiya is heart-shaped, and the fuyu is shorter and more squat, and kinda looks like an orange-ish tomato. The hachiya persimmon is very astringent, which means that if you try to eat it, your mouth will feel really dry, or like there is suddenly fur all over the inside of your mouth. This can be helped by letting it really ripen. And by ripe, I mean it should become something that you would think is really rotten. It should be so soft and mushy that if you break the skin open, the fruit could literally come pouring out. The fuyu persimmon isn't nearly so astringent, but it does need to be really ripe before you try it out. It can be eaten with some amount of firmness left. At any rate, I am not a fan of having my mouth feel like it is furry (go figure), and I am also not a fan of eating fruit that is pure mush. So for me, the challenge is to try to find ways to enjoy the persimmons in other forms. Considering the fact that I have four bowls of persimmons in different stages of ripening on my counter, I need to find some great uses for them. I baked persimmon bread and muffins (recipes to come later...), and I quite enjoyed persimmon margaritas. Mmm. It's a great way to take a drink that's reminiscent of a lazy hot summer day, and to give it some flavor of the season. 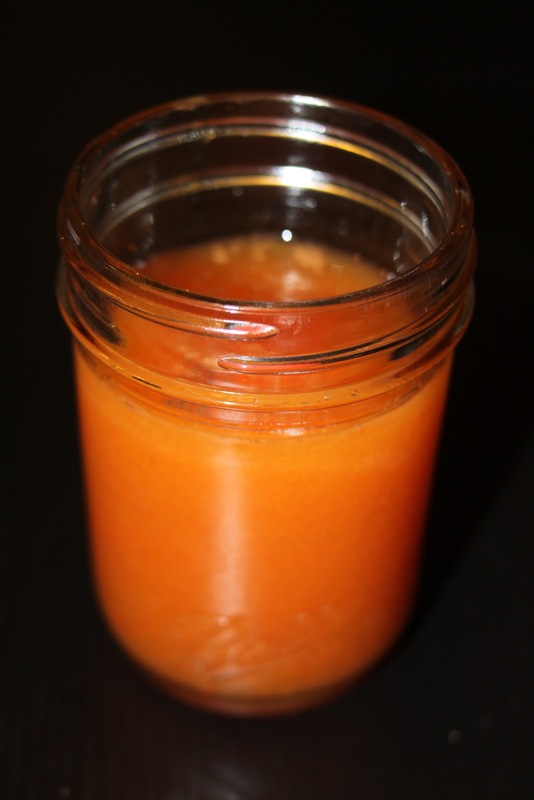 Put the flesh of the persimmons and the simple syrup into a blender and puree until smooth. In a cocktail shaker, combine the tequila, 1 1/2 ounces persimmon puree, and lime juice. Shake well with ice, and strain into a glass (rimmed with salt, if you prefer). Sprinkle a pinch of cinnamon on top.